If you’re looking for a highly-skilled, conscientious team to deliver your yacht, marine surveyors Jamie Morrison and Niki Perryman have been racing and delivering boats professionally for more than 30 years. They’ve each logged more than 100,000 ocean miles, handling a wide variety of craft. Together, they have written about seamanship and safety at sea for magazines all over the world. Their practical insight, hands-on technical knowledge and survey experience produce a crew you can totally rely on. 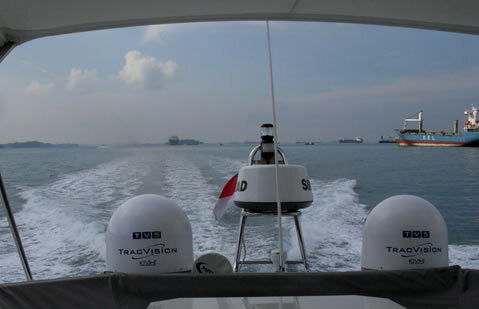 For boat owners who would like to improve their knowledge while gaining some experience at sea, we provide custom tutorial yacht deliveries. If you need to get your boat from A to B and would like to learn along the way, we design a personal program to suit your experience level and lifestyle. Jamie Morrison and Niki Perryman delivered my yacht from Sri Lanka to Cairns. 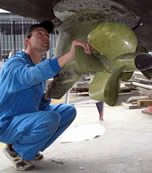 They performed this delivery without incident in adverse conditions, handling repairs and maintenance capably. They are level-headed and conservative sailors with a very wide range of delivery experience. I can vouch for their complete honesty and ethical standards, and would recommend their services without any hesitation. Jamie and Niki delivered my sailing catamaran from Spain to the UK. They successfully weathered a severe gale in the Bay of Biscay, and proved themselves very professional in not only delivering the boat, but repairing many mechanical problems along the way. 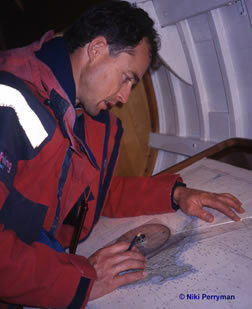 The boat arrived at its destination in perfect condition with all systems working – remarkable under the circumstances. My boat could not have been delivered by a better crew, and I thoroughly recommend these two for any delivery anywhere.